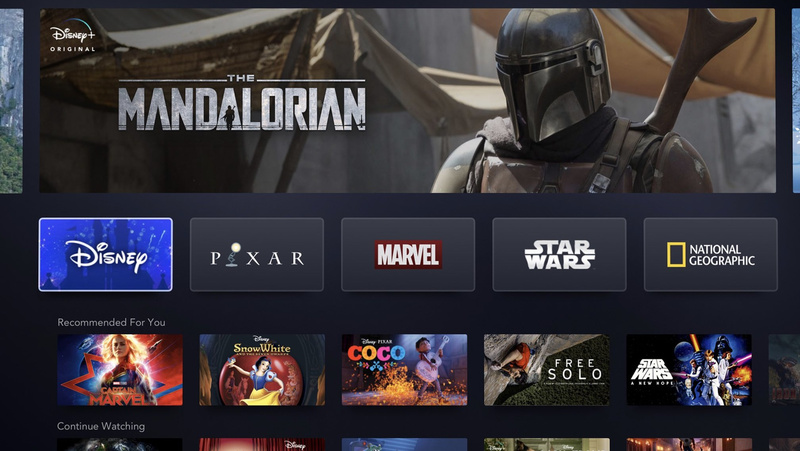 During an investors briefing, Disney officially revealed its new digital streaming service Disney+, due out on 12th November this year. The service will include five main hubs covering Disney, Pixar, Marvel, Star Wars and National Geographic. Currently, the PlayStation 4 is the only system Disney has actually confirmed will be receiving the service. Disney+ will also be available to stream through smart televisions, web browsers, tablets and mobile devices. In addition to this, the service includes parental controls, offline viewing, 4K HDR support and will be priced at $6.99 a month or $69.99 a year. Would you like to see Disney's streaming service released on the Nintendo Switch? Tell us below. All we need now is The Disney Afternoon Collection! Come on guys! Is the Netflix Switch port being outpaced by a mouse? If it's a service like the WWE network, and includes almost everything the company has ever put out on it, I'll be more than interested. Disney Afternoon Collection 2 with a focus on SNES games, please. I need Aladdin SNES and Mickey Mouse Magical Quest 1 + 2 in my life again. You can shove your streaming service, though, Disney. I only have Hulu, and that’s only because it is free with Spotify now. I share a Netflix account with a friend for free. How many services are we going to have to suacribe to to get everything we want? It really is the darkest timeline once you realize Disney now own's the majority of the entertainment industry (and still hasn't done squat with Tron since 2010). Looks like Nintendo knew what they were doing when choosing Universal. The description of the hubs is weird in this article. Star Wars is a movie franchise, not a movie company. It's Lucasfilm, which includes things besides just Star Wars, most notably Indiana Jones. And it omits 20th Century Fox entirely. I realize it was cut/pasted from another site, and it even seems to have been presented this way, but still think it's weird. Disney now also owns a major stake in Hulu and will likely combine subscriptions for those with them already. Alas, they have no intention of doing any Tron movies for the foreseeable future as they can make more money via Marvel and Star Wars. The ROI is way bigger and that’s all Disney cares about. We have all brought this upon ourselves. We allowed TV to get too big, to raise their prices on us so easily. Then we sat back when they acted like they gave us what they wanted with little packages from hulu, netflix, etc to give us the little things we want. But then it spread more and more, more break ups, more wanting their piece, and now you can pay even more than the nastier cable bills to get all you had before legally now. Fun isn't it? It's coming to everything, what's the big deal about it coming to Switch? Total $55 a month. Pretty soon it's going to be as much as cable. There is no need for all of these services. Not only did I cancel my Netflix subscription when I heard Disney is making their own service, I have no intention of getting Disney's. The only streaming service I pay for now is Crunchyroll. I don't like the direction the industry is taking, where you need seperate accounts with Netflix, Amazon, Hulu and now Disney. Screw it, I'll just stick with Crunchyroll, YouTube and Twitch. If I really really want to watch something, I'll make a trial account or make an account only for one month and watch whatever then. FANTASTIC! All the announcements for the service today have been great. I've been satisfied with what DisneyLife has had to offer, and Disney+ is already going to be better. @Malcrash Except make a brand new rollercoaster in Shanghai which they're also currently building in Florida. They also did an animated TV show. Disney have not forgotten about Tron. Legacy just flopped hard, so it's unsurprising a third film didn't take off. I expect it to eventually. Yay more subscriptions that cost an x amount of money per month. No thank you. Wait, Disney owns National Geographic now? @ImagineerNik 1.Tron Legacy didn't flop. It grossed over it's $170 million dollar budget, making it a success, but since they also bought Lucasfilm at the time, Disney thinks Star Wars will sell more than Tron, thus making it hard for a Tron 3 to happen (and it makes me sad). 2.Tron Uprising only lasted for a season and got cancelled on it's first year and that also makes me sadder. 3.It's cool that a Tron attraction is coming to the west but I personally feel a new film or television show revolving the Tron universe is more exciting than a roller coaster that'll eventually be taken down. Anyone else have a creeping feeling that the $6.99 price is going to disappear in barely a few months? Maybe the reason there hasn't been a NF app on the Switch is related to Nintendo's forced takedown of the Wii app, it's possible NF doesn't like the idea of developing an app that can be shutdown whenever by an outside company. This is starting to turn into a worse version of cable TV. People left cable because of high prices, but now every content provider seems to want people to pay a separate fee just for them, and it's going to start adding up at some point. @Tasuki Thats the problem, companies cutting out the middle man like Netflix or Amazon by having their own streaming service. I heard Warner Bros might be doing own at some point too and with Apple also launch one, you'll either have pay a lot every month for everything or start to get picky every month. @VmprHntrD cable is still triple what I would pay for having Netflix, Hulu, VRV, Amazon Video, HBO and Showtime all subscribed separately. I’ll take the savings for as long as I can get it. While it's not convenient to have so much content spread different streaming services, I see it as an opportunity to really think about the stuff you actually consume and just pay for those services that offer it. @VmprHntrD You beat me to it, lol. @Tasuki There's no need on our end. The need is on the owners of this stuff. They saw that people were ditching cable & wanted a cut in on the action on where the money was going. Couple all these different streaming services with ISPs throttling bandwidth for higher tiers & we may end up paying more than cable. @Angelic_Lapras_King Yep it's starting to get over saturated. Only a matter of time till the streaming bubble bursts. Someone needs to just come along and put them under one umbrella like Netflix did years ago. Weren't we supposed to also get FunimationNow? What happened with that? @KingMike That's what I am saying. Someone needs to come along and but all these streaming services under one service. Not to mention how fast they are on price hikes, I remember when Netflix was terrified of raising prices now they do it yearly. If their first price increase isn’t to around $10. Had zero interest in this but then just learnt tonight it will give me access to all The Simpsons episodes and everything changed. Series 3 to 8 of The Simpsons is pretty much perfect television that reached comedic heights no other shows have reached. I will happily pay 10 quid a month to have access to all these episodes every month as they are pretty much endlessly re-watchable. This is AWESOME! All you guys complaining about these streaming services?!? We all complained about the cable bundle and how we wanted to pick & choose which channels we wanted. Now you get to pick & choose which channels you want and while a few of us rejoice many of you are complaining even more ugh! Well Netflix if you aren't coming then Disney and Hulu are now taking away all your customers. Disney+ sounds like being great value. Having live action and animated Marvel and Star Wars shows is reason enough for me to subscribe. All the Disney and Pixar movies/shows will be great for the kids too. As for a Switch app, well more options are good even though we have a multitude of TVs, tablets and smartphones to watch on. I realize that I no longer pay $90 for cable and instead I'm paying $12 for 2 services that have almost zero overlap so I have no idea what you're trying to point out. @leo13 yup, I don't understand the complaints either. Nobody needs all the streaming services available and nobody is forcing you to pay for them. Just get the ones that give you the content you watch. If netflix doesn't do it for you anymore then just cancel and get hulu or something else. Rinse and repeat. Also if anybody thinks that they have the time to consume all the content in those platforms are either delusional or need to reexamine their life choices. @Tasuki Dont forget DCs! $7 or 8 a month. Cant remember. I really like it though. Worth it for Doom Patrol, YJ, old Batman shows and movies, and all the comics. Titans turned out to be decent too. Correct me if I'm wrong but don't Disney already have something similar called Disney life?? @Marios-love-child Disney Life was a lengthy ly trial for a Disney Streaming service that only launched in a few countries. Not sure if they’ve confirmed what happens to it now but it wouldn’t surprise me if it goes, replaced by this. Seems like you are correct. Love the complaining. No one is forcing you to subscribe to all those services. You choose to. You could easily just pick one watch what you wanted on it then cancel and pick another. This will make my quest to memorise the entire script of Home on the Range easier! JK, JK. still looking forwards to this. Netflix next please! Yes but no commercials and not paying for loads of channels you don't want is still better than cable. That's why the scum of the mouse will never get my money. And this is how piracy will climb back up again, every bloody company wanting to have their own subscription based streaming platform because: muh money.. I'm willing to have 1 or 2 subscriptions, but who the [email protected] wanna Pay for 20 different platforms to get what you can get from ~3 today..? Bloody greedy publishers crapping in their own pie, and the consumer will get the blame in the end. The big question is: When will I be able to watch their original content? Disney + will be US only, so I need alternatives. Will Disney+ come to the UK? WB didn't and we got Titans on Netflix over here. I have been a subscriber to Disneylife in the UK for a year now so I hope this service comes across here and replaces it, particularly if I can get it on my Switch. @kukabuksilaks exactly. I have an even better solution, stop watching everything. Almost all movies and shows are bs propaganda anyway, people are just wasting their time with these things. I'd much rather play video games as they're more interactive, fun and can be super educational and can actually develop some of your skills. I'm kind of dreading the launch of this service. Disney has acquired a frightening amount of media now, and it's starting to grow out of control. I suspect their methods of competing won't be very consumer-friendly. Dang, a year ago I wasn't thinking about this sort of thing. Guess I'm excited to be a dad. No, thanks... Disney are a bunch of a********. Sweet as mate. I may get it then for the star wars and marvel stuff. The other stuff would be a bonus. Meh, quality of Disney has really gone downhill over the past few years, it's worth it more for the classics if anything. Even still I have no interest in tossing Disney my money...then again I doubt this will be in my country since Hulu still isn't. Well if we're not getting Netflix... that makes Disney + a little tempting, though it will depend on the quality of the original stuff. MCU aside, I haven't been impressed with much of Disney's recent work. @Tasuki I'm surprised no one challenged your math. @Kalmaro I’ve said that for a couple of years now. One day, lots of people are going to realize that their paying almost the same for these streaming services, as if their still paying for cable. With that said, I wouldn’t mind the Disney add on as a part of my Hulu plan. Only because I sold a majority of my huge Disney movie collection over the past year for some much needed money. Although I’m not into Disney like I used to be, I wouldn’t mind checking out their newer releases via their streaming service. The price is right, given what you get. I also have all of the Simpsons dvd releases. I wouldn’t mind selling thiose (excluding season 3). Netflix had too much of a monopoly anyway its good to have some competition. No thanks. Disney has been on a downhill slide for years. They've acquired way too much and their quality is mediocre at best. Sorry, but someone or something needs to put the House of Mouse in its place and let it straighten out its own priorities first. @RetroTyGuy Shame on the 2 thumbs down that were given. @RetroTyGuy This is for tv streaming services friend. Disney owns 2/3 of Hulu yet they still need more streaming services. Only $6.99/mo? That actually surprises me a lot given the content that will be available. I mean, there are some serious IP's under the Disney umbrella. As long as Disney+ allows user reviews which Netflix criminally not allow now I'll support it. @VmprHntrD The nasty cable bills had already reached a grotesque level anyway, with good content being spread ever more thinly across new network after new network over time. For cable cutters I think the worst that will happen is that they end up with a duplication of that strategy and cost through streaming. There's no reason to think it'll reach a level of being greater though. 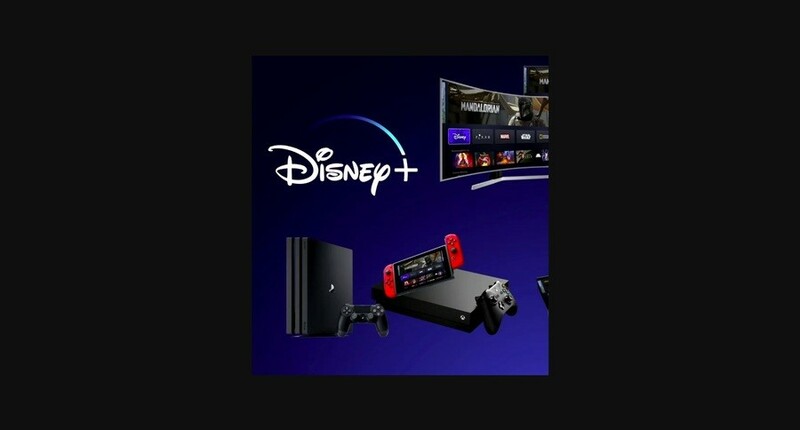 “Nothing is concrete” except for the image of a PS4, Xbox, and Switch showing Disney+ running on them. Safe bet I’d say. Personnaly, having cut the cable cord about 2 months ago, the only services I'm subscribed to are Netflix and Tou.tv (a more local, french, service - which is my native language), and I'm not planning on subscribing to another one. The reason most people are cutting the cord is mostly a matter of costs vs. benefits not being worth it. People aren't going to simply replace their huge monthly bill with another one just as huge but comprised of many subscriptions... This makes it even MORE cumbersome than a simple cable subscription!!! I'm just going to get a nice Antenna on the roof, get all the regular channels for free, will use my Nvidia Shield and its Plex server as program guide + PVR, and just access everything with it. @Kalmaro depends on how much you want? I don’t get the complaining about this. To me, it’s just like consoles. If I want EVERY game, I’m going to have to buy multiple consoles or subscribe to multiple services. If I can’t afford to do that or I’m unwilling too, then I buy the ones I want most. Disney is under no more obligation to have their content on someone else’s streaming service than Nintendo is to have their games on someone else’s console. I already pay for Netflix, so this is sad instead of exciting. And I simply cannot understand the lack of a Netflix app on the Switch. It's beyond logic. @RetroTyGuy Maybe they're just gonna put the original games proper on the NES NSO App, without giving Capcom your money. Otherwise, they'll announce it in June during E3. @Supadav03 Nowadays, if you want every game you just have to buy 1 console. Whatever Nintendo has and then a pc to eventually catch all the "console exclusives". @Supadav03 You listed like, 2~3 games oit of thousands. Console exclusivity doesn't really exist anymore, except with Nintendo. The vast majority of games are shared between systems, so you don't really need more than a Nintendo console and a PC to play 99% of the games on the market. That was my point. I'm not sure why you don't think that is not a valid complaint. @Kalmaro Doesn’t matter how many games. If it’s only 2 I still need a PlayStation in addition to PC & Switch. I only watch Netflix for Stranger Things. So same thing, it’s one show out of thousands but I still need it if I want that show. Do you really think you can pay Netflix $15 a month and get EVERY show? It’s a fantasy. Nothing works like that. So pick and choose what you want & are willing to pay for. @Supadav03 I think you're missing the point. I know some exclusives exist. My point was that there are so few on consoles that they are negligible and not a good comparison to exclusivity when it comes to TV shows. And no, I never expected to pay for Netflix and get everything, that was my point too, the fact that you can't. Things are so split up that you have to spend a fortune to get everything.